The trial of Knesset Member (MK) Mohammed Barakeh, head of the Democratic Front for Peace and Equality (“Hadash” or “Jabha”), begins yesterday, Wednesday (April 18) in the Tel Aviv Magistrate Court. The trial opened with two days of evidentiary and witness hearings to be held on Wednesday 18 April and Sunday 22 April 2012. The state prosecution is accusing MK Barakeh of two charges of assault, one against a public servant in May 2005 and one against a right-wing activist in July 2006 during the course of protest demonstrations against the Wall and the Second Lebanon War, respectively. The state prosecution claims that in May 2005, MK Barakeh grabbed the throat of an Israeli soldier from the Masada Unit to prevent the arrest of a Palestinian youth during a demonstration against the Separation Wall in the village of Bil’in in the occupied West Bank. 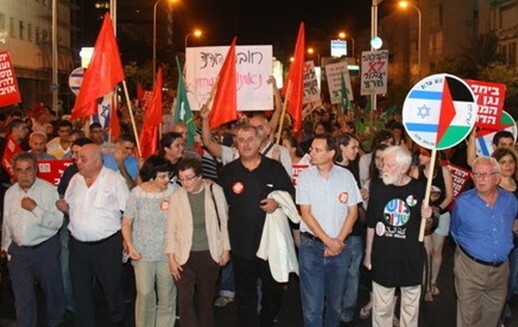 The second charge concerns an assault against a private individual during a demonstration against the Second Lebanon War in July 2006; it ignores the fact that MK Barakeh was defending the demonstrators, including 80-year-old peace activist and former MK Uri Avnery, against a group of right-wing activists who were attacking the protestors. 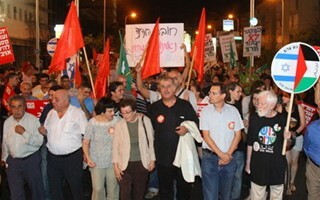 In October 2011, following a motion filed by Adalah Attorneys Hassan Jabareen and Orna Kohn on behalf of MK Barakeh, the Magistrates’ Court dropped two of the four charges originally filed against MK Barakeh as the actions alleged to have been committed fell within his parliamentary immunity. The charges submitted against him included insulting a police officer during the same demonstration against the Second Lebanon War in 2006, and of obstructing a police officer’s work during a demonstration in Nazareth against the closure of the files against police officers and commanders involved in the killing of 13 Palestinian youth in October 2000. Attorney Kohn stressed that the defense will prove to the court that MK Barakeh has not broken the law, but that indeed the security forces present at the demonstrations used excessive violence against peaceful protestors. Soldiers of the Masada Unit, disguised as Arabs, entered the area illegally and threw stones, creating a clash with the army, giving other soldiers a pretext to fire tear gas, rubber bullets and sound bombs, and an excuse to arrest a number of demonstrators. The defense team will prove that the charges against MK Barakeh are unfounded and have no legal basis. “I represent tens of thousands of voters. The prosecution cannot operate under the political agenda of the government in order to avenge me politically… This is a political trial. I’m being prosecuted because I’m a communist and Arab,” he said to journalists. April 19, 2012 in Political affairs.